Everyone seems to have picked up on the story last week that the number of Facebook users has declined in the USA, Canada and the UK during the last couple of months. Almost every commentator suggested it was Facebook fatigue, fears from privacy issues, boredom and random bad experience. 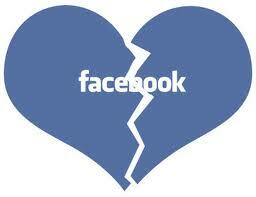 With an IPO looming early next year, after a certain period of time – do people just fall out of love with Facebook? My friend Tyler Tarr from Danucapital says that “Facebook is a ponzi scheme…if you analyze the useage curve over time for their users, after a certain period of time users tire of it and have 0 advertising value, very similar to MySpace. Therefore, Facebook needs new users at an ever increasing rate to offset drop-off and to demonstrate growth. Inevitably they hit the wall and begin to disrupt the user experience in order to generate more revenue, essentially accelerating their decline.” A classic bell shaped curve. While I can’t disagree with that logic, I can say that Facebook still has staggering numbers and is almost at 700 million people worldwide, or 1 in 11 people on the planet. Unbelievably, 50% of the population in the UK is a registered user on Facebook. In Vincos blog, you can graphically see their growth in this fantastic world map of social networks over the last 3 years. I did a quick Google search this morning on ‘Facebook fatigue’ and not surprisingly, there have been many stories over the last 3 years describing this exact same thing. Users declining, fatigue, boredom, etc. Yet the actual amount of time spent on Facebook by individuals, along with the number of users, has only continued to increase at hyper growth rates. The key point is that Facebook has hardly begun to learn how to monetize their platform. In addition to advertising, there is F-commerce, social commerce type deals, virtual goods and many more options. Even if users do decline over time in a classic bell shaped curve for whatever reason, there is so much critical mass of dedicated users who will remain, that I expect profitability should continue for many years to come. Unless of course management does disrupt the user experience or meddle with privacy one too many times. This entry was posted in Facebook, Social Media and tagged Facebook, IPO, socialmedia. Bookmark the permalink.